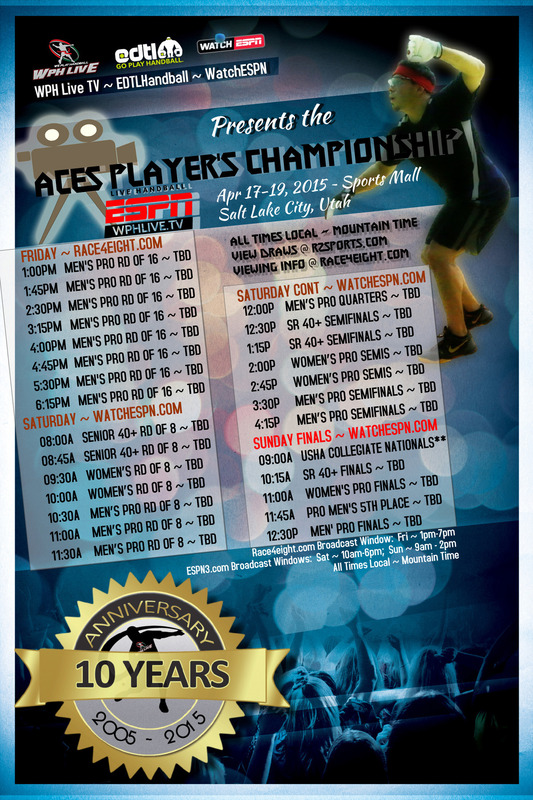 Salt Lake City, UT, Press, April 17th, 2015- Press night at the Sports Mall kicked off Thursday at the home of the WPH Aces Player’s Championship. WPH Live TV & ESPN film crews erected a new broadcast booth, while running cables and broadcast gear wiring throughout the complex. 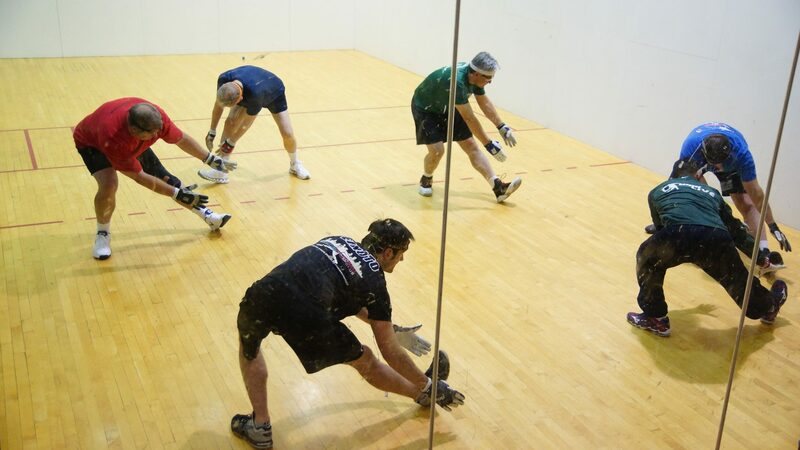 WPH is set to run the pro qualifier at 9am today, then begin the weekend’s journey through the final championship of the professional handball season. WPH will be LIVE at 1pm (local Mountain Time) at www.race4eight.com to All Access Pass Holders when the men’s round of 16 kicks off. Press night continued with a special Slow Motion Camera placed on center court capturing some of the most revealing shots and swings in the game. All pro players were invited to participate with hopes the added clarity of this footage would highlight the game and be used to better promote the sport in High Definition on the networks. “This special $1,000-a-day camera was specially rented to gather players like Brady, Casey, Lenning, Moreno, Peixoto, Reilly and all the elite players that play,” says WPH Executive Director, Dave Vincent. 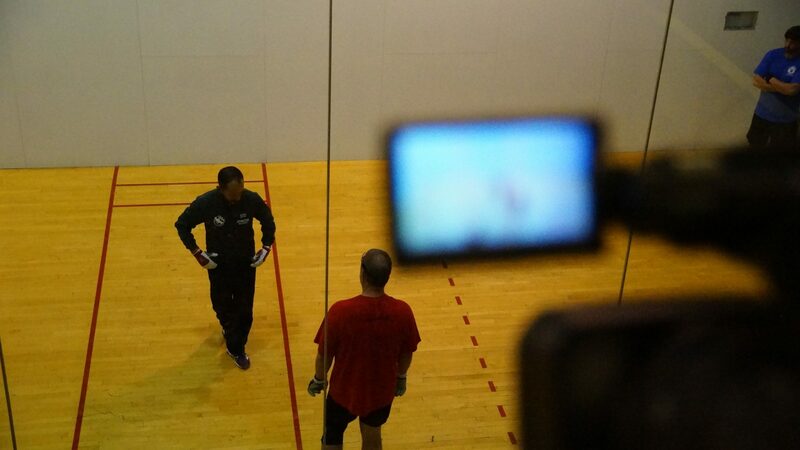 “When you see the footage, you will understand why it was so important to us to have the players on the court. We were very fortunate to spend some time with Aisling Reilly, our current world champion, Emmett Peixoto, Luis Moreno, Armando Ortiz, David Fink, Abe Montijo and Anthony Selestow, to name just a few.” WPH will be revealing the super slow motion replay camera, sponsored by R&A CPAs, Mesch, Clark and Rothschild & Tucson Rolling Shutters, during the LIVE broadcast this weekend. Junior WPH, with help from Naty Alvarado, conducted a pro clinic featuring multiple local and out of towners as the Thursday night festivities continued. “Once I get going it’s hard for me to stop,” says Alvarado. “I really enjoy the clinics and helping the WPH with it’s mission. I love letting the students control the class. I simply ask each individual what they want to work on. 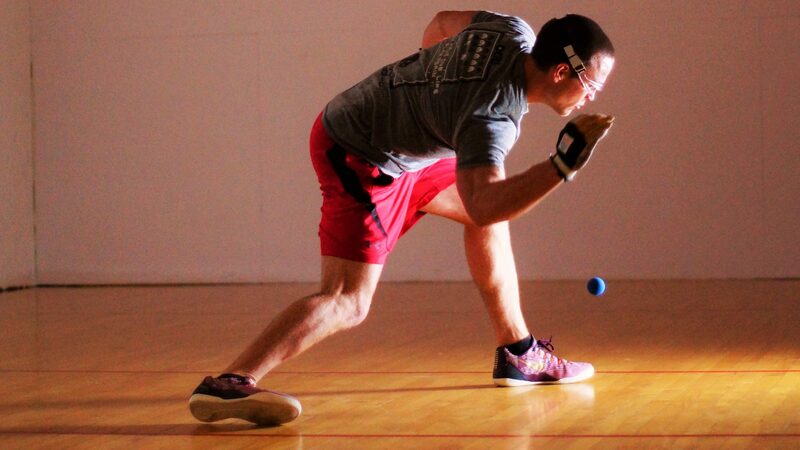 Then it just snowballs into this very positive open forum of thoughts and theories and handball play.” WPH performs clinics while on the road at all stops. #3 ranked pro, Emmett Peixoto, stopped n for a quick warm up with the group, as other pro players warmed up on side courts while mingling with the locals. 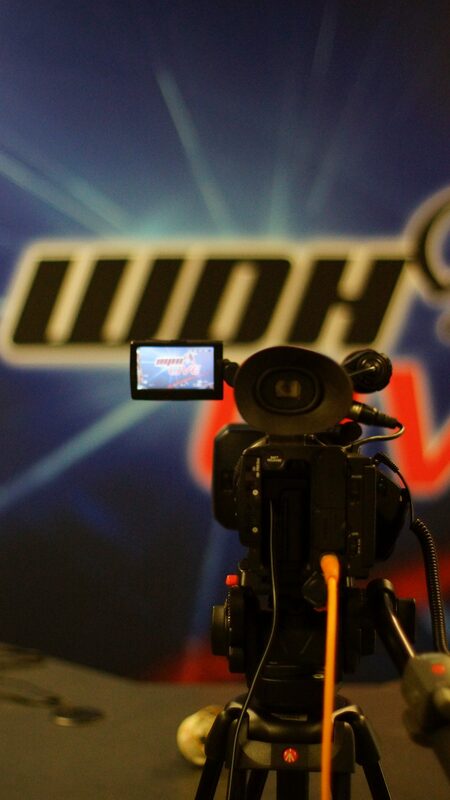 WPH qualifiers (non filmed matches) begin at 9am Thursday morning. Follow the draws, HERE> Pro matches begin at 1pm, and will air on race4eight.com to WPH All Access Pass Holders.